Almazgeobur LLC delivers complimentary drilling equipment and components for exploration companies. Thanks to strong partnership relations with some of the world’s leading producers of drilling equipment we offer the most profitable terms of delivery for the full array of mining and geology-prospecting equipment. • Premium Drilling Mud (Germany) – manufacturer of drilling fluids and composite materials. • Volgaburmash OJSC (Russia) – manufacturer of Tricone and PDC bits. – Atlas Copco: CS-14, CS-10, CS-1000, Diamec 232, Diamec 262, Diamec 282, U6, U8. – Schramm: T685WS, T455WS/T455i, T450GT, T450WS, T450BH. Our company delivers all over Russia and CIS. Thanks to availability of warehouses in Moscow and Khabarovsk the collaboration becomes efficient and mutually profitable. ALS Geochemistry is the global leader in the provision of analytical data services to the mining and exploration sectors. With over 60 locations around the world we are able to provide consistent, swift, productive and reliable service to our clients. ALS Geochemistry recognises that mining company corporate wealth is tied to the estimation of mineral resources and that quality assays is of paramount importance to protecting assets. Our analytical laboratories are certified and registered in each region with global application of standard procedures and audits to maintain standard practice throughout the laboratory network. Our network is linked together internally by our Global LIMS (GEMS) and for our clients using the state-of-the-art Webtrieve™ system, which allows our clients to view location, status and data for their projects. AMC Consultants is a leading mining consultancy providing services to the exploration, mining, and financial industries. We work with our clients to plan new mines or improve the operations of existing mines, with a primary focus on achieving optimum output and return. With experience gained on more than 7,500 assignments over 30 years, AMC is an expert in the business of mining. Our expertise spans mining engineering, exploration, geotechnical engineering, geology, feasibility studies, strategy optimisation, technical audits, appraisals, expert reports, and business improvement services. Our clients include mining companies, insurance companies, banks, and investors. Training, support and services are delivered from Artgeo’s modern service center in Moscow. Artgeo develops dealers network and partners relationships in regions of Russia and CIS. JSC “Central Kola Expedition” provides comprehensive services for subsoil users at all exploration stages, carrying out work in the field of geological prospecting , evaluation and exploration of mineral deposits , geotechnical , environmental , hydro – geological and drilling works , technological studies of ores , block modeling of deposits , as well as technical and economic solutions. The company has close professional ties with the majority of the specialized Russian companies – developers of technology solutions , analytical laboratories and project organizations . The company has considerable experience of work with ore and non-metallic materials projects in Russia working with both private subsoil users and state contracts . Our work is performed in accordance with the requirements of the SRC , as well as international standards NI143-101 and JORC. The company is ready to provide highly qualified personnel for the implementation of exploration projects, including personnel having the status of «Qualified Person» in international reporting codes. Over the last few years, our R&D department has been concentrating its efforts on optimising the efficiency of our machines and offer a new generation of centrifugal Blowers. As a result, Continental Industrie can now offer a new generation of high efficiency Blowers delivering from 100 to 55.000 m3/h dry, clean, non pulsating air with pressures of 1,1 Bar and vacuums of up to 6.700 mm H2O (WG). ContiTech division relates to the world’s leading suppliers of technical elastomer products and is a specialist in plastics technology. ContiTech develops and produces functional modules, components and systems for mechanical engineering and instrument making, mining, automotive industry and other important industries. In 2014, the company ContiTech, together with the associated at the beginning of 2015 the American company Veyance Technologies Inc. achieved a turnover of about 5.4 billion euros (formally). Currently, the Group has about 41,000 employees in 34 countries. 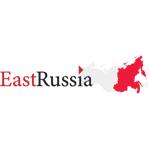 Eastern Drilling Company (EDC) – one of the largest Russian mineral drilling company. EDC is a subsidiary of FORACO International (3rd largest global mineral driller operating 308 rigs on 5 continents in 23 countries, having 51 years of experience and 2,200+ employees). EDC provides a broad variety of drilling services for mineral resources: diamond drilling, deep directional drilling with wedges, reverse circulation, air core drilling, large diameter drilling (up to 30” in diameter for exploration, bulk sampling, ventilation and backfilling holes, etc. ), deep water well and dewatering drilling. EMC mining, Ltd. (Mining engineering, management, consulting) is Design Institute that belongs to the group of companies “M-Group” (Mining engineering group). It specializes in the mining and processing industries and provides wide range of services either for existing mining companies, or for the development of new projects. The company specializes in the development of projects development management for mining companies, design for mining objects, techno-economic study, concepts and development plans as well as independent audit. The company includes departments like mining-and-geological, processing and metallurgical, of hydro-technical facilities, economic audit and analysis, environmental department, constructional department, engineering networks and systems, process control systems, the general plan, and the other departments. The group of companies «M-group» includes «PromTrade Mining» company, which specializes in installation works and commissioning for processing companies, in supply of processing equipment, installation works management and plants construction. It performs design of open pit and underground mines, processing and hydrometallurgical plants and heap leaching equipment, tailing dumps, dry stacking grounds and infrastructural facilities. The company Ferrit is a private Czech company with worldwide presence and history dating back to 1993. Over the time Ferrit has transformed from a trading into a production company with an own R&D. An equipment for monorail suspended transport system has the largest share in Ferrit production and gained the company a leading position on world markets. Federal State Unitary Enterprise”All-Russian Research Instituteof Mineral Resources.Named after N.M.Fedorovski(FGUP VIMS) is the leading organizationof the Ministry of Natural Resources of Russiaand the Federal Agencyfor Subsoil Usein geology for study ofthe mineral resource base, scientific and methodological workonthe forecast,exploration and evaluation ofuranium deposits as well as rare kinds of ferrous, alloy, non-ferrous and other rare metals and development and improvementof complexmineralogical andanalytical methods for studyof mineral raw materials and technologies for their enrichment and processing. The Institute acts as the Federal Researchand Methodological Center fortesting and certificationof minerals on behalf ofRussianMinistry of Natural Resources, as well as Interdepartmental Scientific Councilon Analytical(NSAM), mineralogical(NSOMMI) andtechnological (NSOMTI) research methods. FGUP VIMSprovides organizational support of theCentralCommission of the Federal Agencyfor Subsoil Usefor miningof solid minerals (CCR-RosnedraTPI). Company FORGEO is a distributor of diamond core drilling tools, equipment and supportive tools manufactured by the Canadian company FORDIA. FORDIA is a synonym for quality products and technical innovations. All products of FORDIA are always in stock at our warehouses in Khabarovsk and Saint-Petersburg. • analytical methods and ore dressing technologies. • scientific advance and realization of prospective activities in the field of geological subsoil study and replacement of non-fuel mineral base. Company Gelios provides services in the field of geophysical exploration – implementation of drilling and complex of geophysical methods for geological problems solution. Low cost and high depths of obtained data are achieved by using gravity and magnetic exploration technologies, as well as pulsed electrical sounding. Service Exploration Company GeoJet Exploration features necessary qualifications for planning and implementation of the full spectrum of exploration in mineral deposits for solid resources required for a subsoil user and an investor for project development at its any stage. The mission of our Company is the adaptation of effective exploration methods to technological cycle of exploration for mining industry demands. Sustainable development of the Company and advanced geophysical technologies is ensured by the operation of Proprietary Design Bureau, strong collaborative relationship with Divisions of the Russian Academy of Sciences on geophysics as well as practical experience of completed projects on various types of deposits around the globe. «GeoSolutions» was established in 2015 within strategy of the largest private service company – «OGK Group» (www.ogkgroup.ru) to create a Russian Consultant at the market of solid minerals. Understanding that geological risk one of the most important and we have set the main task – to establish company focus on issues related to highly professional and complex geological assessment of deposits and support of field operations. GeoSolutions a strong emphasis was made on building and strengthening a professional team. We do believe that experts with significant experience gained in the shall be a guarantee successful result of any company that provides consulting services in the area where investment and operational risks are measured in millions. Client orientation, responsibility and commitment, high level of corporate standards and quality requirements, in-depth understanding of methodology and modern practice are the key principles of GeoSolutions. Geotech is the world’s leading airborne geophysical survey company and is a full service company in helicopter and fixed wing geophysics offering high end technical services in the fields of unique active and passive electromagnetic methods (VTEM, ZTEM, AIRMT), state of the art gravity, high sensitivity magnetics and the most advanced radiometric systems. Geotech’s team has decades of experience in planning and executing successful airborne geophysical surveys throughout the world. Geotech is well recognized for high-end airborne geophysical surveys for around 35 years and has been an innovator in the design and application of detailed airborne geophysical surveys offering the most advanced exploration platforms available in the World market today. We are committed to continuous improvement of existing systems and invention of new technologies. Geotech owns and operates an Aviation company (Geotech Aviation) with a world-wide fleet of helicopters and fixed wing aircrafts. JSC “Giprotsvetmet”- one of the oldest institutions of non-ferrous metallurgy, founded in September 1929. Currently, part of the industrial holding of State Corporation “Rostec”. “Giprotsvetmet” is one of the leading institutions in the Russian Federation for the design of non-ferrous metallurgy in our country and abroad. Our Institute has made a significant contribution to the establishment and development of the domestic non-ferrous metallurgy in Russia and CIS countries. Today, Giprotsvetmet provides a full range of services in the mining and metallurgy from the stage of field evaluation to the automation of industrial processes, including services for the design, construction, equipment supply, management and integrated IT solutions. Highland Gold’s operations are located around three main hubs in the Khabarovsk, Zabaikalsky and Chukotka regions of Russia, as well as in Kyrgyzstan in Central Asia. The Company currently has three operating mines, three development projects, and three exploration properties. Highland Gold has 325,222,098 common shares in issue which, since December 2002, have traded on AIM in London under the symbol “HGM”. Core shareholders include Millhouse LLC (through Primerod International Ltd) and company management. IMC Montan successfully operating in Russia and the CIS since 1992. Since then the company implemented over 450 projects for Russian and international mining companies, investors and banks. IRGIREDMET provides R&D expertise, testwork and process optimization for precious and base metals and diamonds. The activities range from initial investigations to process development and design, construction and commissioning of industrial mines and plants. Working closely with clients and in conjunction with engineering partners, Irgiredmet supplies a flexible package of technology for process development and optimization. We offer a full range of sophisticated facilities for sample preparation and characterization, gravity, flotation, physical separation, smelting, leaching, purification and metals recovery, tails detoxification etc. Our key customers are: Polyus Gold International Limited, GV Gold, Petropavlovsk PLC, Nordgold, Uzhuralzoloto Group of Companies (UGC) JSC, Russdragmet, ALROSA Joint Stock Company, Navoi Mining and Metallurgical Combinat State Company, Group of companies «Russian Platinum». Kinross Gold is a Canadian-based gold mining company with mines and projects in Russia, the United States, Brazil, Chile, Ghana and Mauritania, employing approximately 9,000 people worldwide. Kinross has been present in Russia since 1995 and to date is the largest foreign investor in Russia’s gold mining industry. Main Kinross assets in Russia: Kupol mine (“Chukotka Mining and Geological Company”) and Dvoinoye mine (“Northern Gold”), both located in Chukotka. Kinross maintains listings on the Toronto Stock Exchange (symbol: K) and the New York Stock Exchange (symbol: KGC). We are one of India’s leading manufacturers of Drilling Rigs suitable for various applications like Water Well Drilling, Piling, Geotechnical, Geothermal, Mineral Exploration, Blast Hole, Core Drilling, Reverse Circulation and many Custom made Rigs. We also manufacture Drilling Accessories like DTH Hammers, Cluster Hammers, Rock Roller Bits (Milled Tooth & Tungsten Carbide Insert Bits) and API Drill Rods. We are an ISO 9001:2008 certified company having wide global presence with world class quality products and services which provide most affordable and reliable solution for drilling across the world. We have successfully to our credit supplied Drilling Rigs to various Government Organizations, Private Organizations and Contractors in India and many countries across Africa and rest of the world from the past 30 years. MICROMINE is a leader on Russian market in developing and selling software solutions for exploration and mining industries including the entire production circle. MICROMINE holds a leading position in Russia as a modular solution of full cycle that allows explorative and mining companies substantially increase productivity. The Geobank system creates a flexible and efficient environment for collection, verification and storage data. Geobank Mobile facilitates the work of specialists in the field conditions. The Pitram system enables to Increase production, reduce costs, and improve safety of production. MICROMINE is a consulting arm, Micromine Consulting Services delivers competent person reports compliant with international and local reporting standards. MICROMINE provides you with local support and services in your language and your time zone. Mineral Exploration Network (Finland) ltd is prospecting company taking risks of early stages and providing drill ready gold exploration targets for JV partners. During three years since it was established MEN (Finland) explored over 500 square kilometres and discovered several mineralisation zones with strike 6-11 km. We have balanced combination of experience of traditional geological school with enthusiasm of young geologists supported by modern technologies. We believe that success of exploration is result of informed target selection and very intensive field work. Finland is the best exploration target in the world with geology similar to the leading gold producing areas, good and easy accessible geological information, perfect infrastructure and government, actively supporting mineral exploration. Oreoll LLC specializes in reserves calculation, resource assessment, Geological and mathematical modeling of deposits, creation and management of geological databases and maintenance of exploration works. GeoConsultInvest LLC specializes in geological and economic assessment of solid mineral deposits at various development stages, mining operations optimization, Scoping study development, design solutions, mining technologies for ore deposits and non-standard minerals. Geotechproect LLC specializes in mining enterprises design and industrial infrastructure. Consortium provides a full range of services, from geological exploration support, placing reserves on the State balance sheet of SRC to the design and construction of mining enterprises. Consortium allows clients to reduce seriously the cost and performance time of all works complex necessary for effective development of solid minerals deposits. Core-drill method for daylight surface. Drill core orientation for geo-mechanical modelling. Geological support for drilling operations. The company is equipped with modern drilling equipment – both Russian made and imported. Northern Urals Exploration Company fully complies with ISO 14001 standard for environmental managements systems. OGK Group is the consortium comprised of Russia’s leading exploration service companies. It provides prompt, high quality maintenance services of geological exploration with guaranteed fulfillment of contractual obligations. The Group unites a number of leading exploration service companies in the country, whose experts accumulated the experience in exploration project management over many years in this business. This country-wide business coverage allows the Group to help its customers significantly reduce their costs on mobilisation and other works, as well as ensure access to almost any necessary equipment in any quantities. Creation of competitive consortium of experts in the exploration service market with unitary high standards and country-wide business coverage. Social responsibility and general humanitarian values. The prospecting Stage of the Malmyzh Project has been completed. Approval to advance the Project was received from the RF Government on Monitoring Foreign Investment SIL on July 2016. The Project covers advance Exploration stage with officially listed reserves С1+С2 (1.39 Bt, 5,6 Mt Cu и 298 t Au) , Resource Р1 (1.31 Bt, 4,3 Mt Cu и 191 t Au) , reserves approbation, preparation and coordination of field development plan, and construction of GOK infrastructure with year production of ore – 35 Mt, Cu conc. – 113 thsnd. t and Au – no less than 2 t. Excellent logistics and infrastructure – national highway, railroad, power lines 110 и 220 kW, navigable Amur river, Nikolaevsk port, Vanino port, gas pipeline. Life of mine based on current reserves is no less than 50 years. About 30 000 jobs will be provided. Pavlik Gold Ore Company holds a license for search, exploration and ore gold mining at Pavlik deposit, Tenkinsky District, Magadan Region of the Russian Federation since 2007. Within 2007 – 2011 a detailed exploration of the deposit and its flanks, a considerable volume of core drilling, bulk sampling, hydrogeological, geotechnical, environmental studies and a complex of detailed geophysical works were carried out. In 2013 was prepared constant exploration conditions approved by GKZ Rosnedra with “On-Balance” reserves (C1+C2) 154.3 (t) gold. Resources of Russia P1 category estimates 61 (t) gold. Average gold grade is 2.5 g/t. Accordance with JORC, indicated resources estimates 163.5 (t) gold, inferred resources estimates 53.8 (t) gold. At the end of 2014, started mining, and in mid-2015 was the first gold production. In the near future the company intends to complete the preliminary exploration of the deposit Rodionovskoe”, Magadan region. In addition, the company exploration activities on the deposits “Burkhalinskoye”, “Shakhskoye”, “Utinskoye”. also Magadan region. RT-Business Development focuses on the professional management of financial and industrial groups and holding companies. Andrey Korobov is the head of the company. RT-Business Development was founded in 2014 to provide professional asset management services, as well as to promote the development of Rostec Corporation’s most promising areas of business through a variety of financial instruments. These key areas include innovative and high-tech industries (telecommunications, electronics, IT, and production of advanced materials) as well as traditional sectors (resources, transportation, and infrastructure). With its significant experience and representation in the leadership of major companies, Rostec can provide substantial assistance to businesses and organizations in many areas, including interaction with public authorities; mergers; consulting; and much more. RT-Business Development will help to increase the value of companies and minority shareholdings under its control. In 2015 RT-Business Development acquired 100% share of RT Global Resources. The company was created in order to carry out projects involving raw materials and infrastructure development in Russia and abroad. State Corporation Rostec holds a 100% stake in RT Global Resources. Rodion Sokrovishchuk is the head of the company. In December 2012, when Rostec was taking part in a series of large-scale international raw materials projects, it decided to set up RT Global Resources, a corporate competency centre dealing with the project planning, support and management. RT Global Resources follows Rostec strategy to achieve maximum value and increase the capitalization of its commercial raw materials projects and supporting infrastructure ventures. Establishment of a research centre consisting of 4 major scientific bodies for iron and steel industry (OJSC «GIOPROCVETMET», OJSC «GINCVETMET», OJSC «VIOGEM» AND FEDERAL STATE UNITARY ENTERPRICE «GIGKHS» IN COOPERATION WITH CJSC «ROSENGINEERING»). Russian Drilling Company – is a company focused on complex geological exploration for solid minerals. Our mission is «turnkey» development of existing sites and “greenfield” projects. compliance with the OSH Management System and local documents of labor protection and industrial safety. Scania has a long and successful history, dating back to the end of the 19th century. Since that time, the company has become one of the world’s leading manufacturers of highly productive, profitable vehicles for various haulage and special applications, construction and mining segments. Scania offers cost-effective transport solutions for various stages in mining – from exploration to site reclamation: heavy duty trucks, industrial engines and buses for personnel transport as well as wide range of connected services, e.g. flexible field workshops, consignment spare parts stocks, etc. Scania’s powerful and reliable trucks with high payload, high uptime and low fuel consumption are the result of many years of research and development. They are built to withstand the toughest operating conditions, transporting ore, coal, overburden, etc. both in open pit and underground mines always providing low operating cost per transported ton of material. Due to flexible, well-proven modular system, the trucks can be easily adapted to customer’s requirements in the environment of the particular mine to ensure high performance, safety and availability. Each Scania vehicle features high quality durable components – engine, transmission, axles, etc. with long lifetime as well as a cab with good ergonomics and high level of driver comfort. Having over 125 years of experience Scania perfectly understands the needs of customers worldwide. Taking into consideration the growing demand for equipment and services in mining segment and also peculiarities of mining industry, Scania has established a dedicated business area “Global Mining”. It has headquarters in Södertälje, Sweden and is responsible for the development of Scania business, satisfying the needs of mining customers around the world. The experts in Russian branch of Scania’s Global Mining Unit are ready to offer machinery for any application in mining industry and taking into account specific operating conditions in Russia. SGS is the world’s leading inspection, verification, testing and certification company. SGS is recognized as the global benchmark for quality and integrity. With more than 85’000 employees, SGS operates a network of over 1’800 offices and laboratories around the world with headquarters in Geneva, Switzerland. SGS has been present in Russia since 1981. 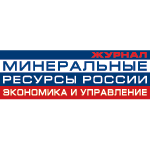 Today, the Russian subsidiary of the SGS Group operates a network of offices and laboratories in 56 cities of the Russian Federation and employs 4’400 people. Own testing infrastructure of SGS Vostok Limited includes 51 laboratories located in 41 cities of Russia. TOMS engineering provides services for mineral deposits development from reserves investigation, selection of mining and processing technologies to enterprise launch and achievement of designed capacity. Functions of general contractor, construction management, EPCM. TOMS engineering is accredited by major banks to conduct technical and financial assessment of projects, as well as to take part in fund raising. TOMS engineering participated in design of Vasilkovsky mining plant, Oleniy Ruchey processing plant, Gremyachinsky mining plant, Aleksandrovsky mining plant, Ametistovy mining plant, Bugdainsky mining plant, Tominksy mining plant, etc. TOMS engineering can be distinguished among other companies not only by its experience (since 1993), but also rapid response to current challenges along with tailor-maid approach which guarantee the most efficient business solutions to the Clients. Union of Gold Producers of Russia (UGPR) – is a non-commercial organization which was founded in 1995. Among the members of the Union – companies producing precious metals and precious stones, refineries, commercial banks and engineering companies. Union of Gold Producers of Russia includes few biggest Russian gold mining companies, which annually produce about 70% of gold in Russia. The main purpose of UGPR is coordination of efforts of UGPR’s members to prepare and realize concrete actions for developing gold mining and precious metals industry in Russia, as well as lobbing interests of UGPR’s members in governmental institutions of Russian Federation. Union Initiatives on improving the legal framework of the market of precious metals and subsoil legislation are actively represented in the State Duma (parliament), the Ministry of Natural Resources and Ecology of the Russian Federation, Federal Agency for Subsoil Use (Rosnedra), Ministry of Finance, Ministry of Economic Development, the Chamber of Commerce of Russia and other state institutions. UGPR is actively defending the interests of members of the Union concerning subsoil use at the parliamentary hearings in the State Duma (parliament) and during the meetings with the Ministry of Natural Resources and Ecology of the Russian Federation. Many years, the Union of Gold Producers of Russia collects and analyzes inaccessible statistical data specialized in the production and consumption of gold, silver, platinum group metals and diamonds in Russia, which Is reflected in the annual reviews of the Union, and sending it to the relevant ministries and departments of the country. The Union also prepares and publishes quarterly reports on mining and production of gold in Russia, which include real-time data of refined gold by domestic gold mining enterprises and the Russian regions. One of the most important task of UGPR at the present stage is the attraction of long-term investments and reliable investors into Russian gold mining industry. UGPR is traditionally partnered with the Russian banking community and actively attracts new investors to the industry from investment banks, private equity funds and private investors. UGPR is working on attraction to the industry of new financial instruments (such as gold loans, etc.) and on the creation in Russia of a specialized stock exchange for small and mid-cap and so-called junior companies conducting advanced exploration works. The Union attracts to the Russian gold mining industry investors from China and other countries from South-east Asia, contributing to the dynamic growth of partnership relations between our countries. In light of the increased cooperation between China and Russia, the Union of Gold Producers has taken steps to establish relations with Chinese partners, including big commercial banks, investment companies, exchange platforms and gold mining companies. Wardell Armstrong International has provided the mineral industry with specialised geological, mining, processing and environmental expertise since 1987, initially as an independent company, but from 1999 as part of the Wardell Armstrong Group (WA). Our experience is worldwide and has concentrated on the metalliferous mining sector and coal. Our parent company is a mining engineering/environmental consultancy that services the industrial minerals sector from nine regional offices in the UK and international offices in Russia and Kazakhstan. Total worldwide staff complement is now in excess of 400. Zabaikalzolotoproyekt (ZZP) has been providing professional industrial engineering services to support mines’ construction and operation for over 50 years. The main activity flows include Reserves estimation; Feasibility Study (Russian TEO) of mineral deposits development; Technical designs for open pit and underground mine development (optimisation, pit and unground mine design, ventilation, mine drainage, transport infrastructure); Process plant and infrastructure engineering (gravity, flotation, hydrometallurgical and combined ore processing flowsheets); Engineering of ancillary mine infrastructure (mine assay lab, mine camps, internal and external power transmission and communication lines, water and heat supply networks, sewage systems); Project support during expert reviews; Environmental audit; Ore processing flowsheet audit; General engineering.